Rhön Malz malthouse is located in the Rhön-Grabfeld district in Northern Bavaria, and its name comes from the surrounding hills. 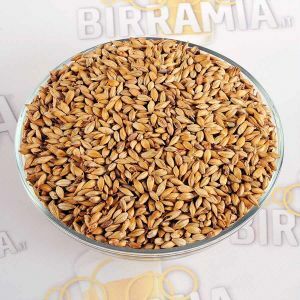 The malthouse is located in the area with the largest malt plantation in Germany. This area was declared natural biosphere, because it is very lacking of inhabitants and factories. In 1883 the brewer Heinrich Heller, coming from Meiningen, built a factory for the production of malt in Mellrichstadt, the area of Bavaria where the majority of barley for beer production was cultivated: the business was so good that the next year the owner made the request to become a limited company. 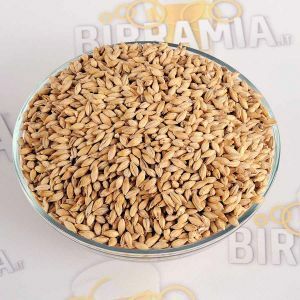 But at the beginning of the first world war the barley was confiscated for the production of bread and in the malthouse they started to work also with other cereals. This situation ended in 1919, because of coal depletion. 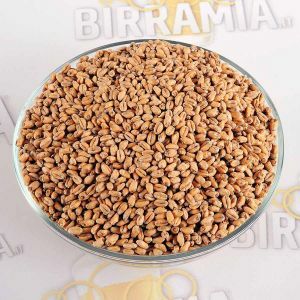 After a couple of years of business the malt production decreased again because of the global crisis followed by the second world war. Since 1945 until 1949 the malthouse was used as a shelter for people who run away from Russia and Poland. In 1974, after 91 years, the production by the "Tenne" method was stopped and the tank-system "Saladin" was installed. On the 8th of July, 1981 the malthouse was aquired by the family of brewers "Lang" from Waltershausen: the Rhön-Malz GmbH was founded. The story of the family "Lang" has a 300 years tradition of malt and beer production. For caramel malts Rhön-Malz collaborates with the malthouse Steinbach.